This recipe isn’t exactly paleo, but I needed a new gluten free option for breakfast and french toast is a common request. This recipe really turned out great the the kids really enjoyed it! It also filled them up which is huge in this house! Well… I’m glad we got to the bottom of that. She is a super petite 3 year old weighing in at about 24 lbs but boy let me tell you, she can put away some food! She is a bottomless pit! But… I will say… after she had the french toast for breakfast, I don’t think she asked once for a snack that morning… and that is saying something in this house! I used a loaf of the Trader Joe’s Rice bread for this recipe, but I’m sure any gluten free bread would work. This bread in particular is super dense and actually doesn’t taste very good plain. It’s actually a reject for the whole family unless used like this or for bread crumbs, making meatballs, breading chicken or something like that. This recipe was super simple, easy to prep the night before and I loved how easy it was to do first thing in the morning… just pop it in the oven! I’m also thinking about making it a “TexMex” casserole sometime by adding some sausage, cheese, chillies and maybe a little salsa. Won’t exactly be french toast, but I bet it would be good! Bake at 350 for 1 hour or until lightly browned on top and firm. There you have it! 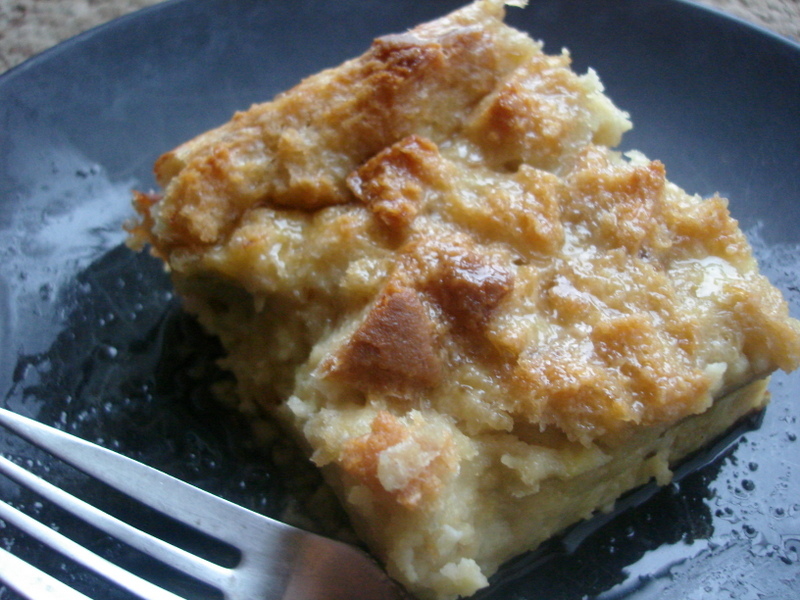 Do you have a favorite recipe for baked french toast? Did your mother ever make it for you? Please share! You have another favorite breakfast you’d like to share? I’m always looking for new ideas!!! !